Rev Shuna Dicks, who took up her post at Cults Parish Church in late January, urged MSPs to consider that they could make the crosses people have to bear heavier to carry. She delivered Time for Reflection, which heralds the start of the parliamentary business week, for the first time. Addressing MSPs, Mrs Dicks, former minister at Aberlour Parish Church in Moray, said: “Many people today in our country, in our world, live lives carrying their own crosses. “They live in pain, in fear and in uncertainty. “It is a huge challenge to bear these crosses with any sense of dignity in a world that at times seems to care little. “Some crosses are easy to spot but many remain hidden. “How do we then know if our words and actions are making these crosses heavier and harder to carry? “What message do your words and actions portray? “How much heavier are they making the crosses that others carry? Mrs Dicks told MSPs that Jesus Christ commanded people to “love one another”. “When we love one another we lighten the load, we share the heavy weights others carry and we offer the chance of fullness of life, she added. Mrs Dicks was invited to address the Scottish Parliament by Moray MSP Richard Lochhead when she was one of his constituents. Asked why she accepted the invitation, the minister said: “I think it is important that the Church has something to say to legislators that might change the way they act in particular circumstances. 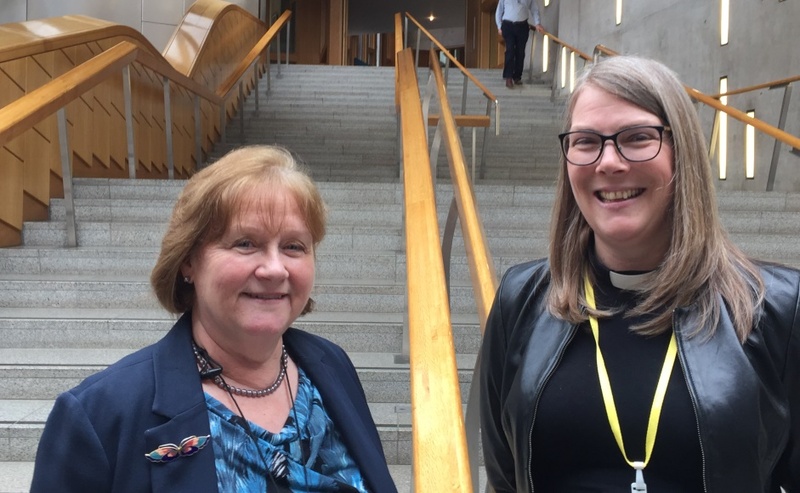 Rev Shuna Dicks was welcomed to Holyrood by Maureen Watt, MSP for Aberdeen South and North Kincardine. Mr Lochhead was away on parliamentary business so Mrs Dicks was welcomed to Holyrood by Maureen Watt, MSP for Aberdeen South and North Kincardine. Both women grew up in Keith. 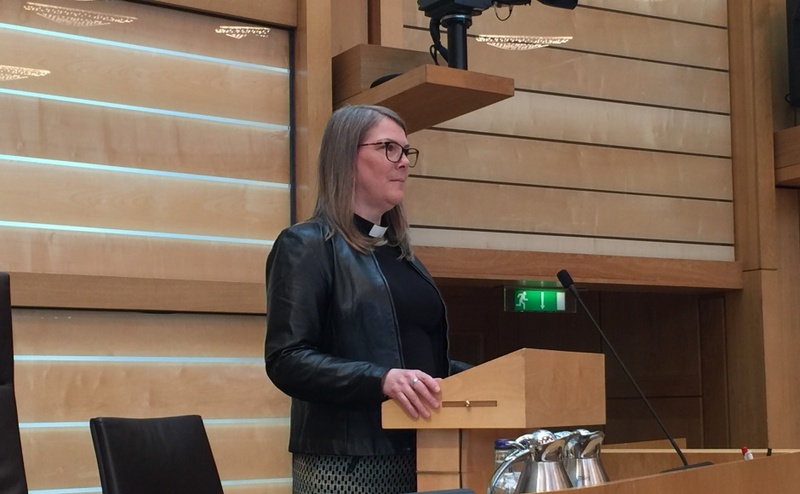 Ms Watt, Scottish Government Minister for Mental Health, said: “I was pleased to welcome Rev Shuna Dicks to Parliament this week and hear her Time for Reflection. “She talked about the crosses people bear, and recognising the impact our words can have. “This is something I often think about when speaking with constituents who feel they have reached breaking point. 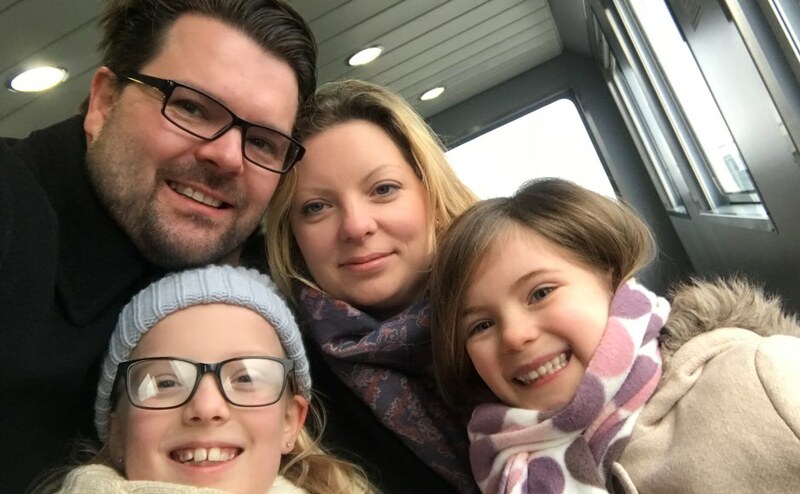 “People may think they shouldn’t talk about their worries or burdens in public, but I feel the more we talk about it, the more likely we can find solutions. Mrs Watt said Time for Reflection was a good way to start the week at parliament. “When business feels like a constant treadmill, Time for Reflection is the opportunity to stop and take a moment to think on other matters,” she added. Mrs Dicks, who was accompanied to Holyrood by her husband Neil, said she was thoroughly enjoying her new role in Aberdeen. 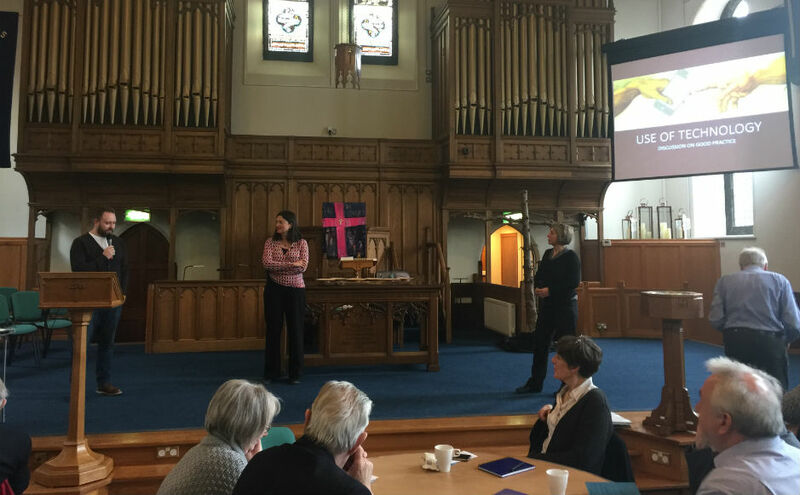 “Cults is great and a big change from Aberlour because it is a very different size and shape of congregation,” she added. “I have spent the last couple of weeks trying to get to know everyone and the area and that has been a challenge.